Δ9–Tetrahydrocannabinol (THC) exhibits antitumor effects on various cancer cell types, but its use in chemotherapy is limited by its psychotropic activity. 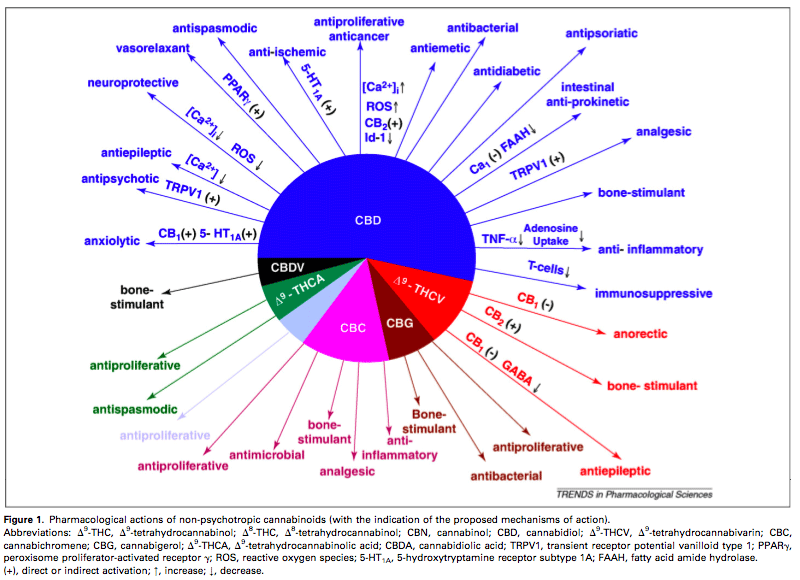 We investigated the antitumor activities of other plant cannabinoids, i.e., cannabidiol, cannabigerol, cannabichromene, cannabidiol acid and THC acid, and assessed whether there is any advantage in using Cannabis extracts (enriched in either cannabidiol or THC) over pure cannabinoids. Results obtained in a panel of tumor cell lines clearly indicate that, of the five natural compounds tested, cannabidiol is the most potent inhibitor of cancer cell growth (IC50 between 6.0 and 10.6 μM), with significantly lower potency in noncancer cells. The cannabidiol-rich extract was equipotent to cannabidiol, whereas cannabigerol and cannabichromene followed in the rank of potency. Both cannabidiol and the cannabidiol-rich extract inhibited the growth of xenograft tumors obtained by s.c. injection into athymic mice of human MDA-MB-231 breast carcinoma or rat v-K-ras-transformed thyroid epithelial cells and reduced lung metastases deriving from intrapaw injection of MDA-MB-231 cells. 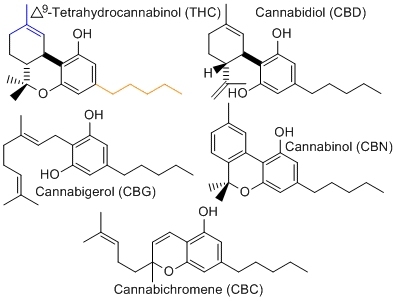 Judging from several experiments on its possible cellular and molecular mechanisms of action, we propose that cannabidiol lacks a unique mode of action in the cell lines investigated. At least for MDA-MB-231 cells, however, our experiments indicate that cannabidiol effect is due to its capability of inducing apoptosis via: direct or indirect activation of cannabinoid CB2 and vanilloid transient receptor potential vanilloid type-1 receptors and cannabinoid/vanilloid receptor-independent elevation of intracellular Ca2+ and reactive oxygen species. 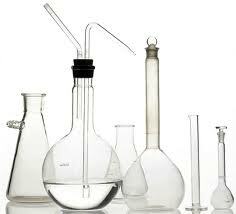 Our data support the further testing of cannabidiol and cannabidiol-rich extracts for the potential treatment of cancer. 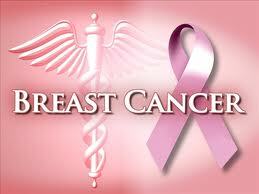 JunD is involved in the antiproliferative effect of Delta(9)-tetrahydrocannabinol on human breast cancer cells.